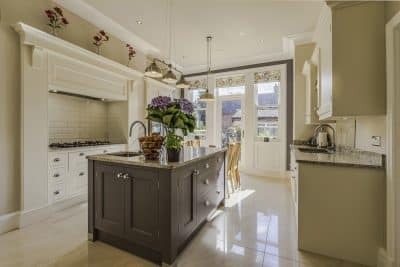 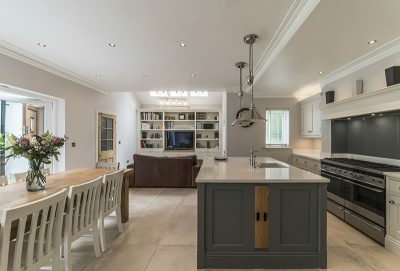 A beautiful, hand painted bespoke kitchen. 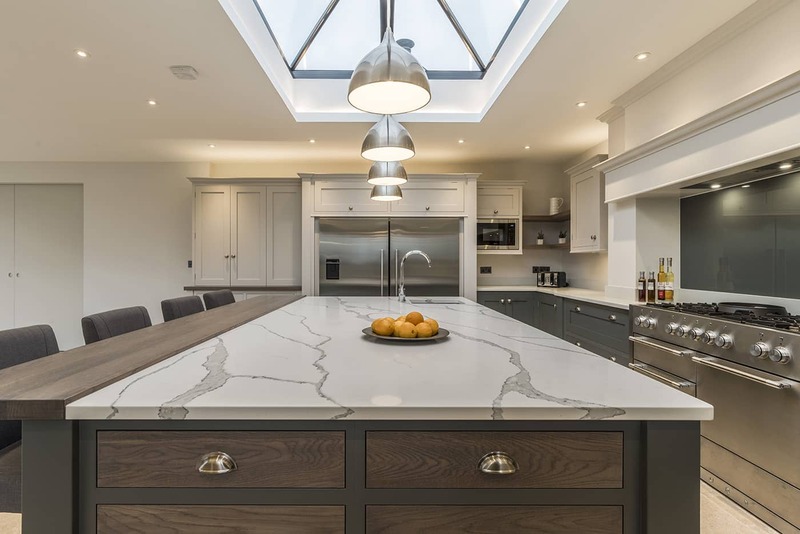 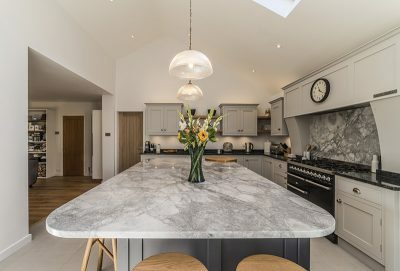 The centre piece is a large island with Statuario marble effect work top complimented with stained oak breakfast bar. 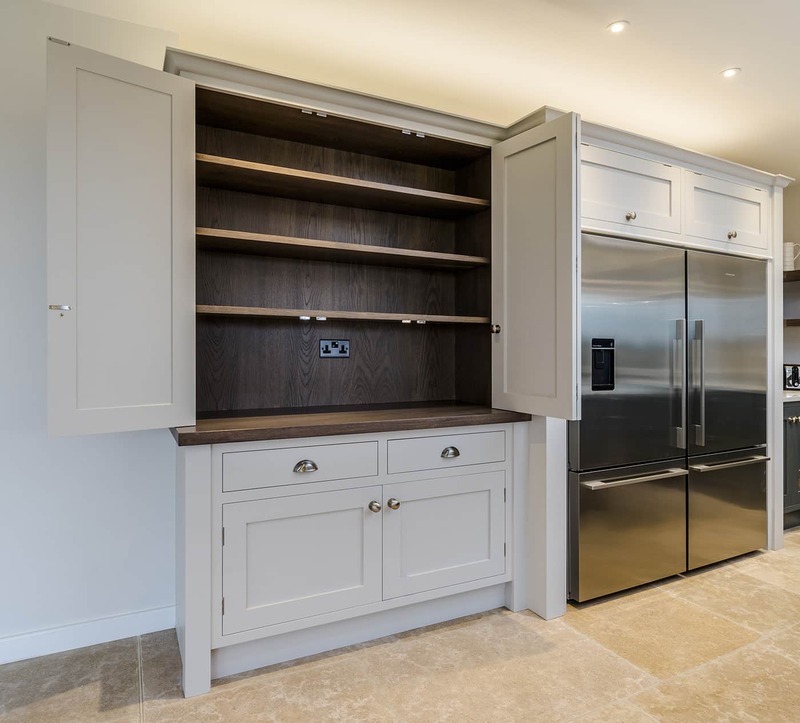 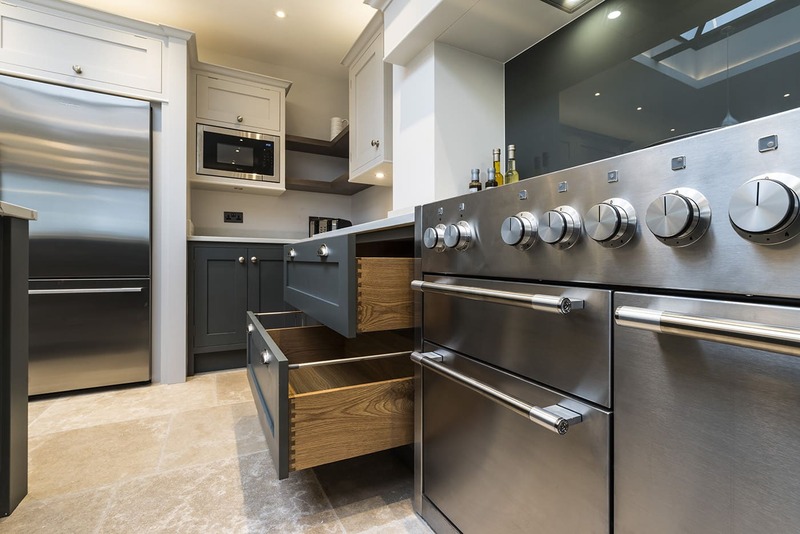 Stainless steel light fittings compliment the American larder style fridge freezer. 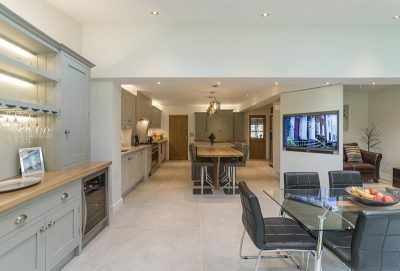 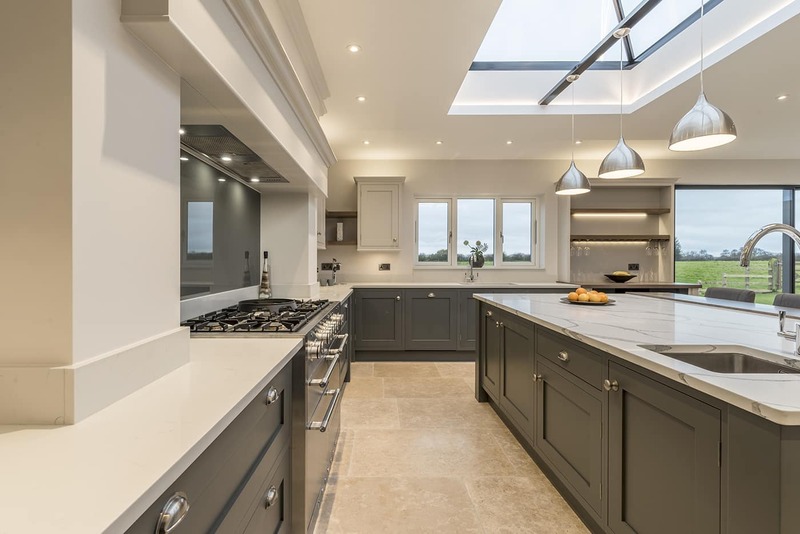 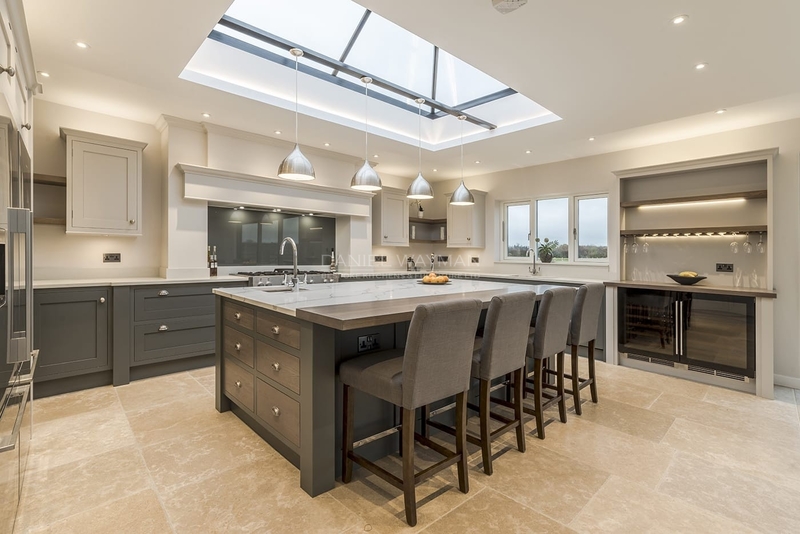 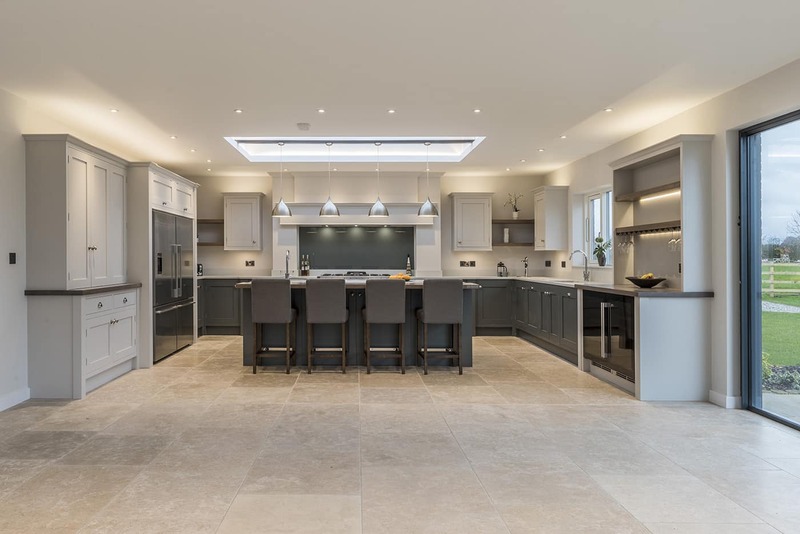 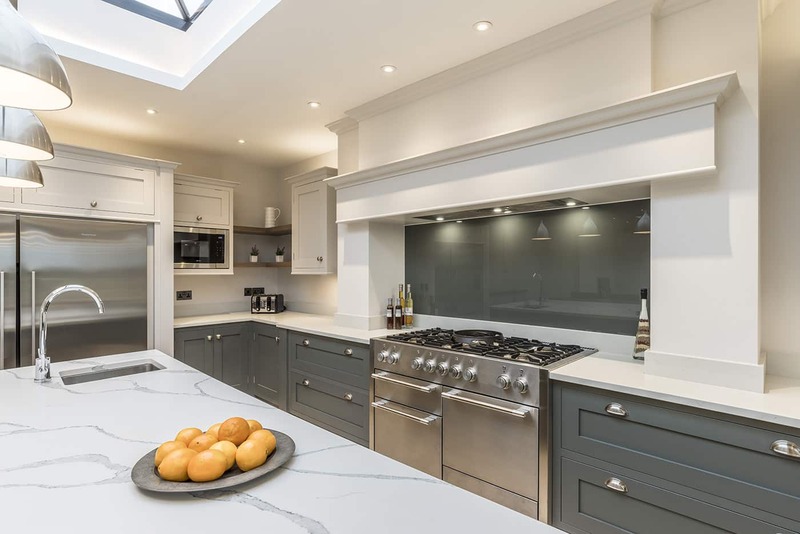 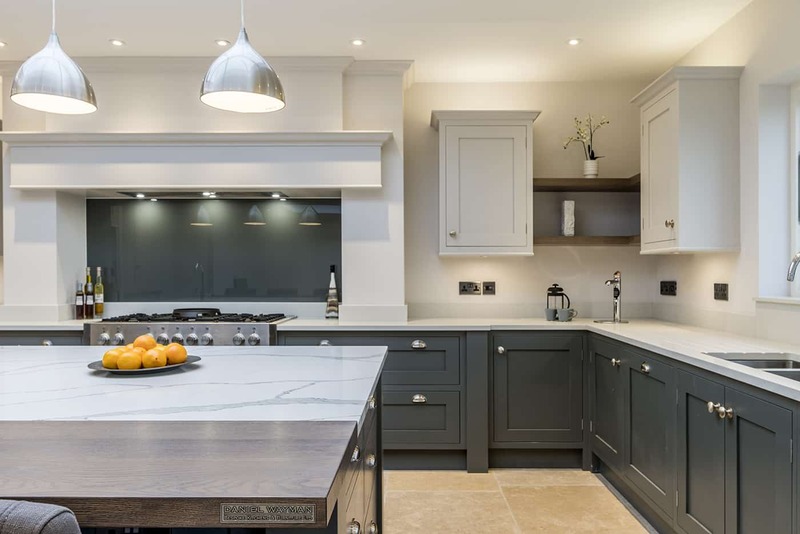 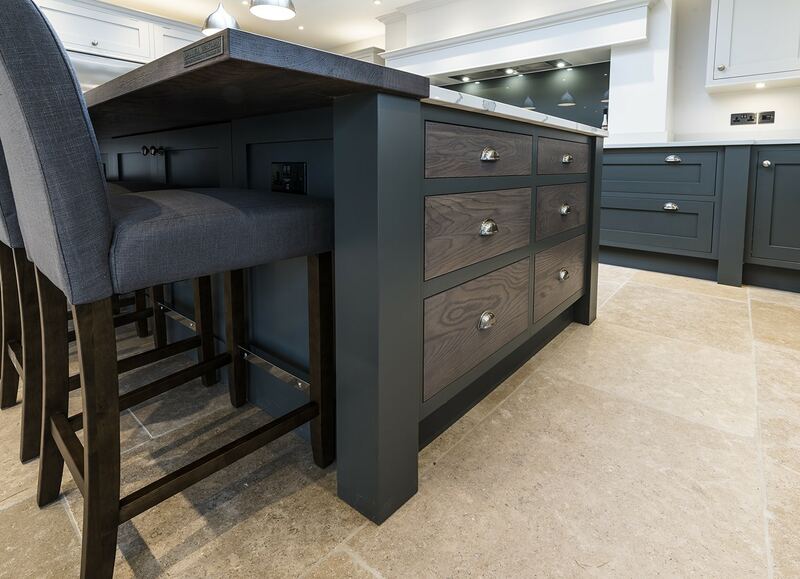 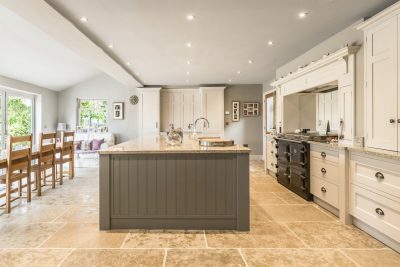 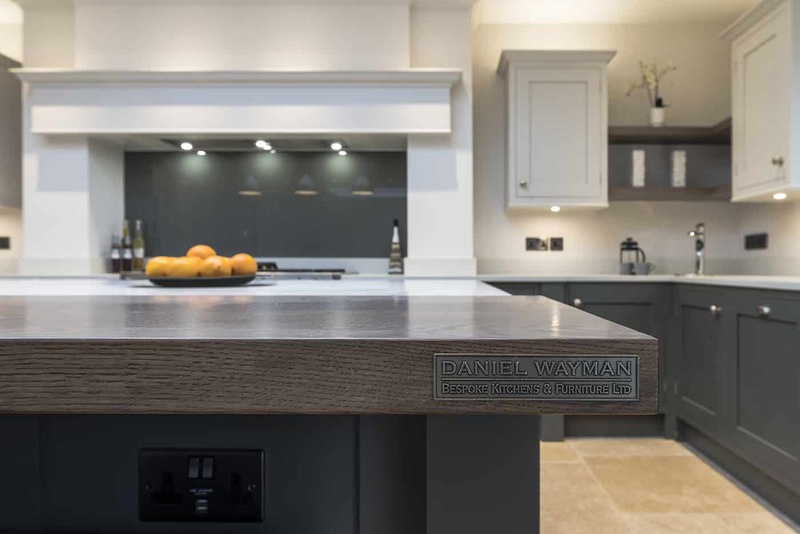 Grey tones have been used to give the kitchen a contemporary feel.